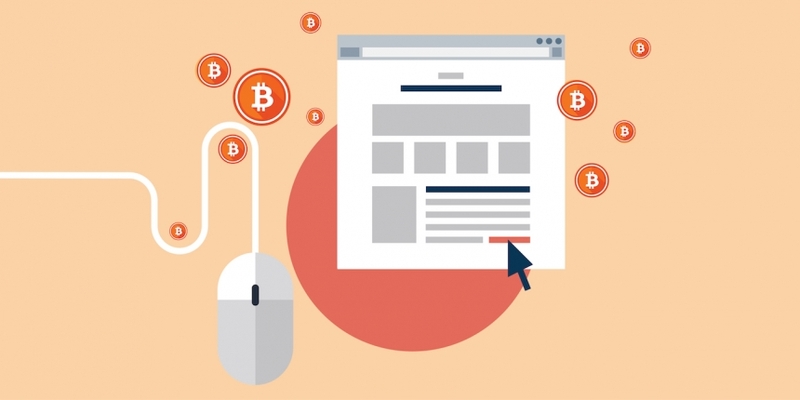 Given the size of the industry and many consumers’ distaste for invasive display ads, a number of entrepreneurs have started to look for ways to supplement or maybe even supersede revenues from traditional online advertising models using the power of bitcoin. The site has had a remarkably clean look as a result – and Waldon thinks his audience is the perfect group to experiment with for trying new things like bitcoin tipping to generate revenue.“My audience is smart and tech-savvy,” he said. Waldon said he has generated around $100-worth of bitcoin each month since he started his effort back in March – enough to pay for site hosting. It’s an experiment for Waldon, a way to set an example for a future where tipping could become normal practice. “If you really want to change the world, I mean really make people think, you have to get rid of the distractions and focus on the most important part, the content,” he said. The practice of sending bitcoin tips to show support for content providers like Space Industry News has been gaining momentum in the cryptocurrency community, especially in the past few weeks. One interesting feature with ChangeTip is that the company has built ‘monikers’ into its platform. This means users can edit their settings and fix a keyword to specified amount of money. For example, a ‘coffee’ could be set as $1.50 in bitcoin, and a ‘beer’ as $3.50. People can send any of these monikers to others in the form of a tip. Sullivan said that he and Dogetipbot founder Josh Mohland recognize this, and that they’re working together to tackle one of the major issues plaguing digital currencies – mainstream acceptance. For example, businesses that embrace tipping may have an advantage over higher-volume sectors in the bitcoin industry because they’re not as adversely affected by bitcoin’s price volatility, Sullivan said. Despite this, perception about bitcoin’s price volatility is still widespread and may ultimately prevent some from embracing bitcoin tipping. 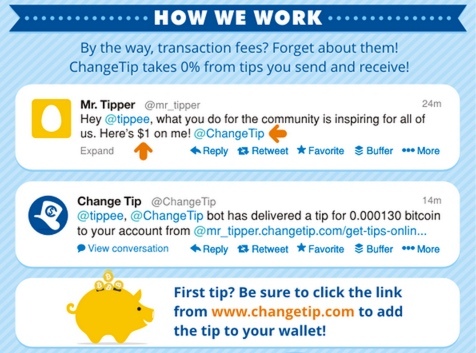 On this end, ChangeTip recently added a new feature to its Google Chrome extension embeds a tipping button directly into Twitter’s web browser so that sending a tip is as easy as retweeting or favoriting someone’s tweet. For now, however, Space Industry News still serves as an early example of a publisher adopting a hybrid revenue model that may become more prevalent in the future, and Waldon is pleased with the position. “I’m feeling a paradigm shift coming and I want to be at the forefront of that,” he added. Note: Space Industry News had temporarily implemented display advertising on 22nd November, citing issues with its code. The ads have since been removed and replaced with bitcoin tipping buttons.